Opel will increase its vehicle sales in China by 10 percent this year but will remain a niche brand in the world's biggest auto market, said Kevin Wale, head of China operations at General Motors Co., the German brand's parent company. Opel sold 5,000 vehicles in China in 2011 and expects to sell 5,500 this year, Wale told Automotive News Europe. "Opel will grow with the market," he said. The brand sells three models in China: the Astra compact, Zafira large minivan and Antara SUV. This year, Opel will begin Chinese sales of the Insignia Sports Tourer station wagon and the Zafira Tourer minivan, Wale said, while declining to provide precise launch dates. Opel has not yet decided whether to sell the Meriva small minivan in China, the executive said. Wale said GM has no plans to build Opel models in China in the foreseeable future, nor increase the number of dealers that sell Opel models from 50 now. GM has more than 2,700 dealers in China. "Even if we grow Opel in China, it will always stay a niche brand," Wale said. "We will continue to build our success in China with Chevrolet, Buick, Cadillac, Wuling and the newly established Baojun brand. 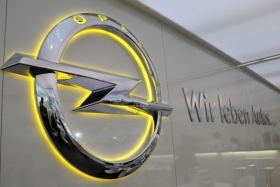 Opel must become successful in Europe again." GM and its China joint ventures increased year-on-year sales in the country by 8.3 percent in 2011 to a record 2.55 million. Buick's sales grew 17.4 percent to an all-time high of 645,537. Chevrolet sales rose 9.4 percent to a record 595,068. Cadillac sales in China were also the highest to date, increasing nearly 73 percent to 30,008. Wuling sold 1.2 million units, an increase of 3.9 percent and also a sales record.